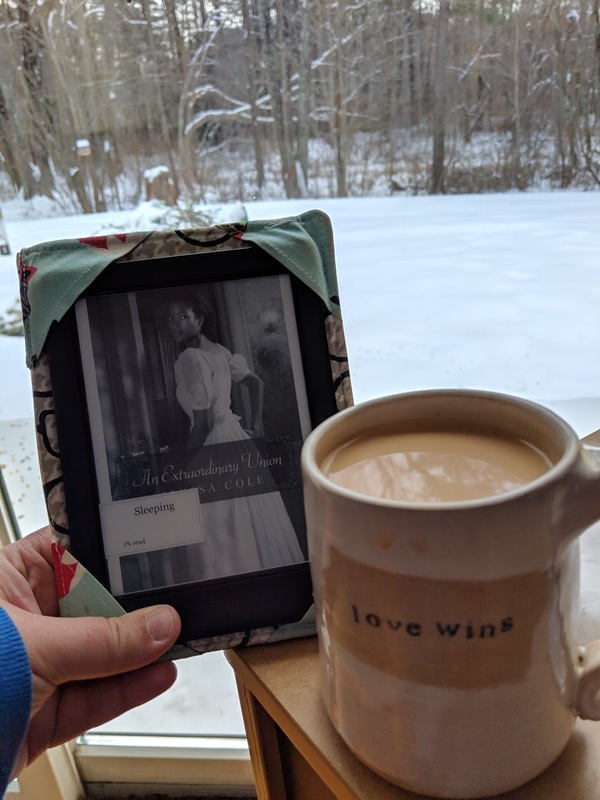 My Wordless Wednesday offering for this week: my newest read, Alyssa Cole's An Extraordinary Union, which I've wanted to read for forever and it ticks one of the boxes for this year's Read Harder challenge. Woot! Survived my first super snowy weekend in our new place, and I'm enjoying rural-y snowy views rather than my usual quickly-muddy urban slushy ones. I've just finished Anna Karenina, and now I'm reading Don Quixote. I love picture of books. You probably cross post on Instagram. I want to do more of that. I'm more active on Instagram than here -- I love sharing pics and I really love seeing others'. Like spying, only allowed! Also, color me impressed with your reads!! AK took me a whole summer to read. I'm into my second (maybe third!) year trying to read Middlemarch. Reading a classic Nero Wolfe novel by Rex Stout. Oh, fab! I do love classic mysteries. We had a little snow in December and I hope we don't get any more for the rest of the season. I am currently reading an ebook that I can't even remember the title and the story is. I am struggling to finish it. I love your beautiful snow! Aw yay, I'm so glad you read Alyssa Cole! If you want a more light-hearted book from her next, I highly recommend A Princess in Theory. It's funny and delightful and also prioritizes women's friendships along with the romance. It's great.